This fascinating doorstop biography documents the story of a Shakespearian figure who tried to do the impossible: Transform an evil empire with the blood of tens of millions on its hands into a parliamentary social democracy. Still, Gorbachev won many admirers in his commendable, but ultimately futile efforts. Taubman’s wonderful work will likely become the English language standard biography for the last leader of the Soviet Union. It is a fascinating read that explains the life of Mikhail Gorbachev, a tragic figure who became a prisoner of historical forces that he couldn’t control. Gorbachev is a reformer who came to power too late in the history of the Soviet Union. The rot had gone too far. He unsuccessfully tried to save an economically flawed, corrupt Communist system with almost no democratic traditions—a system that had murdered tens of millions—and transform it into a social democracy. But in arguing for new kinds of central planning, Gorbachev, a humane, decent man with little understanding of how modern economies function, was trying to square the circle. Gorbachev failed in his country. But his courageous efforts helped to end the Cold War for a while. Regrettably, in the quarter century or so since he left power we are now confronted with another cold war. This came about in part because many policymakers in the United States and other Western powers had unrealistic expectations: They thought the collapse of the Soviet Union would lead Russia to the path of Jeffersonian democracy. They were wrong. Gorbachev, a man with many admirable qualities including courage, faced an impossible economic task: Reforming an irreformable system doomed to economic disaster. This was something that had been predicted by the economist Ludwig von Mises in the 1920s. Mises warned that without free pricing, with planning boards trying to replace the give and take of the price mechanism, an economy couldn’t effectively function. Gorbachev’s misunderstanding of how economies work meant the Soviet Union’s economic planning policies were futile. Gorbachev’s economic failures are the failures of countless other socialist governments or governments that try to incorporate some element of dirigisme. It is a fact that we can witness in our own Western countries when governments impose price controls (An example of this was President Nixon’s disastrous wage and price controls, which led to the stagflation disasters of the 1970s. Other examples of flawed price controls are numerous. They go back to the Middle Ages and the Roman Empire). This debate about government controls and the superiority of a free market, was something later courageously conceded by a socialist economist. In the pages of the New Yorker, after the breakup of the Soviet Union in the 1990s, Robert Heilbroner admitted Mises, who died in the 1970s, was right after all. This was an admirable admission given that Heilbroner, an economic historian, remained a democratic socialist to the end of his life. But Gorbachev, who when he came to power in the mid- 1980s trying to cope with a sick economy, faced more than the problems of eroding living standards. 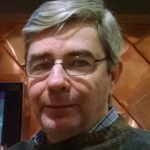 The Soviet Union was a giant gulag; an evil empire that ended in a unique way: It imploded. The Soviet Union didn’t collapse because of losses on the battlefield, as did the Czarist regime during World War I, but owing to the internal contradictions of a socialist economy. It happened in 1991 despite Gorbachev’s heroic but ultimately futile efforts, which would end in his resignation. Part of the tragedy of Gorbachev’s life is a cruel irony: He became an internationally admired figure who won peace prizes because he sought to provide socialism with a human face. These efforts were commended in Germany, where he made the key decisions that allowed Deutschland’s reunification to take place. But here again, the Gorbachev record can be debated. He agreed to let Germany unite and stay in NATO. Still, Gorbachev had hoped that with the peaceful breakup of the Warsaw Pact, the Soviet Union led military alliance, that the competing NATO would also end. He argued for some kind of Pan European alliance system that could be constructed. That didn’t happen. In fact, NATO continued and expanded East, including Poland and the Baltic republics among others. And now NATO comes right up to Russia’s doorstep and there is talk that possibly Ukraine, which many Russians consider the heartland of the nation, might join NATO. That is something that Gorbachev, or almost any Russian nationalist, didn’t want. Russia was losing power and prestige despite Gorbachev’s efforts in the 1990s. Many Russians were angry. Indeed, nation after nation decided not to stay in the successor state to the Soviet Union. This was despite Gorbachev’s considerable efforts. And he also had problems at home as political rivals wanted to topple his government and bring back the “glory days” of the Soviet Union. Political rival Boris Yelstin, a boozy, volatile wildman who, nevertheless was on the right side of history in opposing a military coup in 1991, rescued Gorbachev. But after the coup was foiled, Yeltsin still treated him with contempt. This was good politics in Russia. A hatred of Gorbachev among large elements of the Russian public would show up as Russia was going through the nightmare late 1990s. When Gorbachev tried to make a comeback running for president he received less than one percent of the vote. By the way, Yelstin’s successor presidency was disastrous. It led Russia to the verge of ruin at the turn of the century and paved the way for Putin’s seeming president for life regime. Putin has his own irony: Hated in much of the West, Putin appears quite popular with many Russians. Many of them appreciate that he is a man who kept Russia from disintegrating after Gorbachev and Yeltsin. He started the process of reasserting Russia as a world power, which may or may not succeed but still unites many Russian nationalists. Putin stresses that the central government should be strong, which is in keeping with Russia’s often anti-democratic traditions, whether under the Czars or the Communists. This centripetal political philosophy is in part the result of dozens, possibly hundreds, of invasions that Russia has suffered over many centuries. This fear of invasion is in the Russian character, the author argues. It is also something we should consider in dealing with the Russians (For example, imagine if Britain or the United States had suffered an invasion in World War II in which thousands of its towns, cities and villages were destroyed and upwards of 20 million of its citizens killed. What would that have done to succeeding generations of Americans and Englishmen?). Putin’s eschewing of democratic norms, his hooligan acts, the author notes, have led to some criticism from Gorbachev. But Gorbachev, upset that NATO is at Russia’s door, has also backed Putin in some of his efforts to revive Russia as a world power. For instance, Gorbachev supported him when Russia took back the Crimea from Ukraine. These ironies are some of consistent themes of this excellent book, written by an academic author who commands the subject although at times he admits that final verdicts are still to be made. As he sums up Gorbachev’s life, Taubman comes down on the side of praising this last leader of the Soviet Union. That is even though he concedes his mistakes, which included not knowing even the basics of how markets operate. Still, Gorbachev’s humanity—his resistance to one last show of force that might have providing a crumbling Soviet Union with some more tenuous years of life—are commended. But history must record a harsh judgment. Gorbachev’s well-meaning yet ultimately flawed attempts to transform the Soviet Union into a Western Europe democracy failed. These well-meaning efforts came too late and were probably doomed to fail. Russia’s history indicates it has never been ready to adopt the democratic norms that are the result of centuries of development in Western countries. Nevertheless, Gorbachev, through his institute, is still trying to move Russia down the road toward becoming a functioning democracy. Given centuries of Russian history, it is unlikely that any of us will see the latter in our lifetimes. 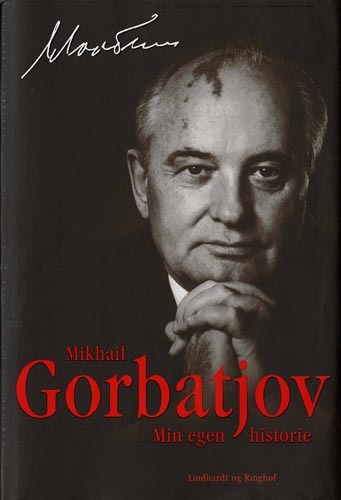 Nevertheless, one leaves this book thinking that Gorbachev will always try his best and will be seen in history as an admirable but at times ineffective leader.